You can create bespoke contact management forms and capture relevant data for customers, staff and prospects so every message is easy to find. 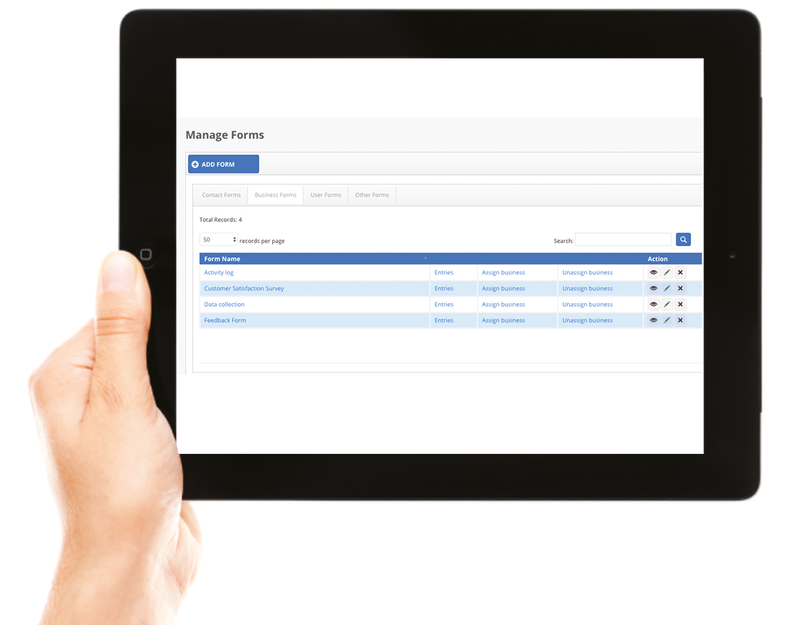 You can create bespoke management forms and capture relevant data for customers, staff and prospects. 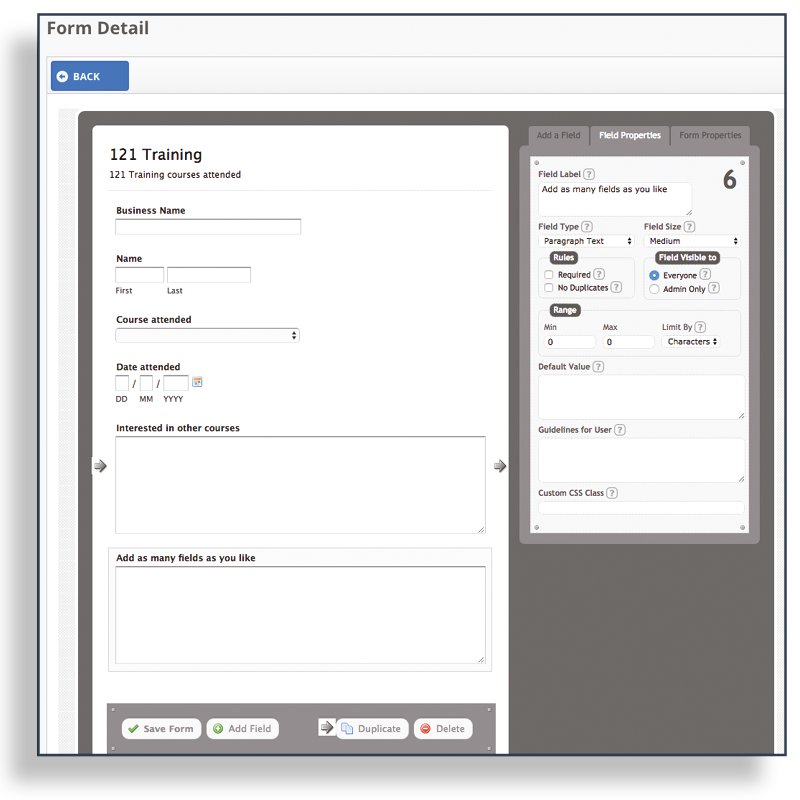 Forms can be assigned to users or to contacts. 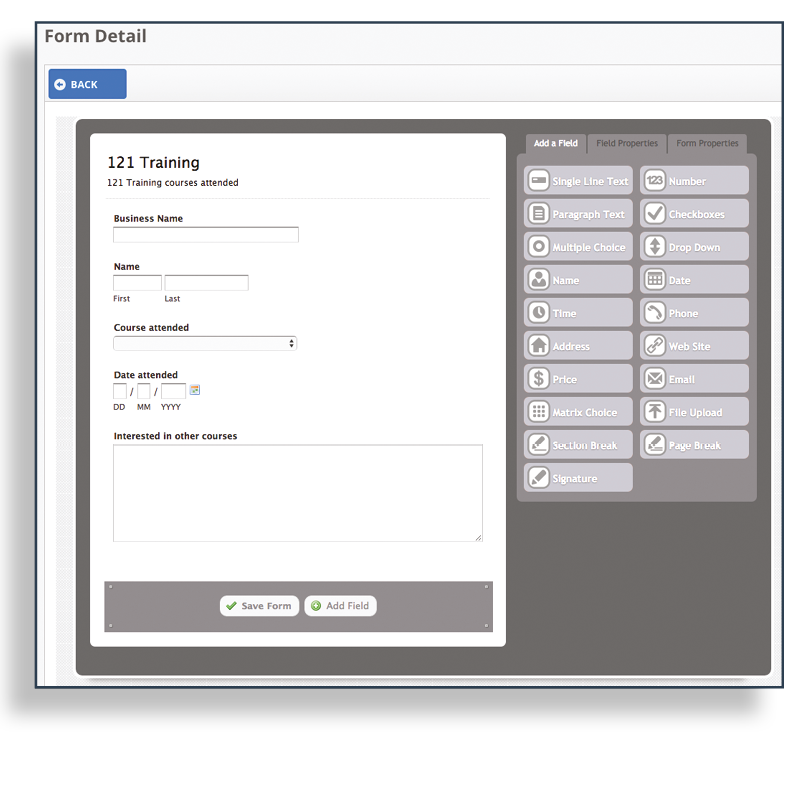 Each time the form is completed, it stores the record against the user or contact, so a history can be logged. When you or any team member goes to the contact dashboard, you can add entries to the form or view the form entries that are applicable to that contact. For example, client requirements, contact history, next task, and so on. You can then choose the filters you want to view from the form and export the data saved in the forms. This helps you keep a complete log of the customer information, which allows you and your team to know exactly what the contact status is and the preferences and needs for each contact. Create forms and assign them to businesses, contacts or users to make sure you capture and can use data you collect to make your business more efficient, productive and proactive. You can create any form you want by just dragging any field into your form. Add as many fields as you like. 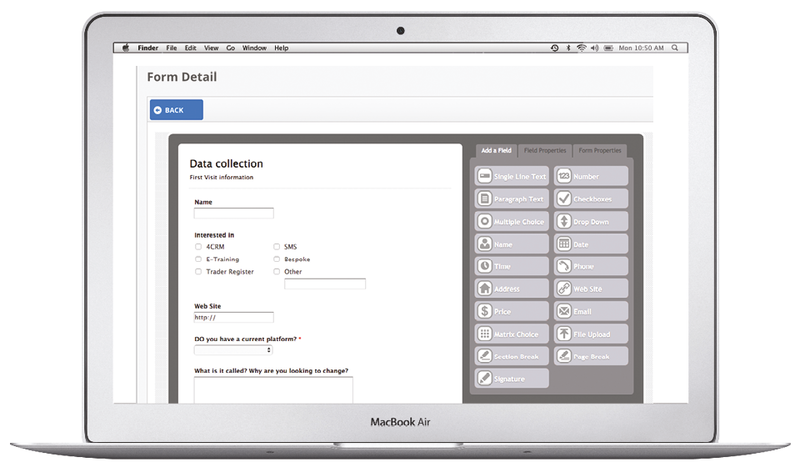 You can even email completed forms to your customers or suppliers so they have a branded copy of the data you have. Very useful when filling out feedback, collecting data or orders so the customer can have a copy of the details taken.